Inviting Artists and Creatives to respond to the exhibition and event proposals below. These will come together as the Fringe Arts Bath 2019 Festival programme. Also see info for groups & collectives below. Please read ‘how do I submit?’, and see our call-out page for curator’s blog entries and more info on all these exhibitions. Submission is free and deadline is 17 March 2019 for all exhibitions, unless otherwise specified. GIFs, memes and emojis are the visual language of our digital presence. .GIF will explore the fertile negotiations between contemporary art and the aesthetic of our online occupation. Artists and performers are invited to submit work for exhibition or inclusion in the live launch event. 21st Century Neanderthal is a research into today’s online dating world seen through artists’ eyes, mixed with every day’s righteousness and immorality. It challenges and exposes these online experiences through art, which are sometimes easier to understand if they are put into art form. Exploring found photography and work using found & salvaged photographic materials as new resources, celebrating the physical and analogue in a digital world. As the objects of image-making become scarcer we seek work that preserves these materials and looks at them in new ways. Sensory experience of the sonic environment can be enhanced by the use of sound vibration to activate the entire body through the skin, through muscles and through bones to create an immersive experience. A sonic bath is the epithet for frequency vibration intended to wash over the audience as they quietly meander through the gallery space. Issue Three of Mob-Handed Press examines the word ‘Creature’ in all its forms. A collaborative songbook is a communication between artist and audience, an exploration of how people visualise the music that they write and perform. It is an engagement with both ideas of theme and musical composition. In an era of individualism, internal division and separatism, as states pull out of co-operative institutions for peace and ecological development, collaboration is a revolutionary act. Challenge the traditional artist ego and engage in a creative space where ‘ideas are animals’, control blends into shared authorship and participants are agents of change. Bring materials, a starting point and each day undo and redo, involving whoever is in the space each day. Seeking artists with lived experience of mental health problems who embody their experiences in their practice. Moving towards a new visual language for mental health, we aim to show 2D, 3D, installations and performance-based pieces which challenge representational and figurative tropes, engaging with materiality and process. Do you have a fascination with something others might at first deem to be dull? We are looking for artists in all disciplines who notice and perceive things in ordinary and everyday places, things, materials or situations that other people overlook, to produce engaging work that challenges preconceptions. Looking for artists of any discipline whose work reflects Fantastic and Strange: work which falters between the odd and the beautiful, extravagant yet awkward. Art and ideas that explores the weird and the wonderful. Please apply with images of your work plus written explanation all on one single page document. Hidden - will showcase work that throws light on the unseen and intangible. Life is subject to unseen forces. Some we accept without proof, others such as emotions or time, are strongly felt. Showing what cannot be seen and making the invisible manifest is central to this exhibition. Paradise is today a commodified reality made tangible by the digital age as a realised realm, present in the spaces we create online and in micro-places we retreat to. Our manufactured utopias are over-saturated visions that often conjuring their exact opposites. Contemporary artists explore modern ideas of paradise and its unavoidable antithesis. From Lucian Freud’s obsessive dissection, Tracy Emin’s biographical, Egon Scheilie’s narcissistic exploration, Donald Rodney’s physical metaphors, and Martha Rosler’s role deconstruction, we invite artists to make work in response to the word, idea and expression of ’SELF’. Whether a personal exploration or an objective discussion, we are looking for submissions from artists of all materials and methods. Self-portraiture, conceptual, performance, video, abstract, etc. The co-curated strand will offer a forum for contemporary practitioners investigating social sculpture as an approach to art today. Social sculpture was an approach formulated by artist Joseph Beuys who claimed “Everyone is an artist”, everyone can shape society. As climate change and crises of capitalism loom large, the value of social sculpture will be considered through expanded engagements. The call is to sound artists, small theatre companies, or individuals, who will work with spaces around Bath to highlight, modify, inform, challenge, or intensify the experience of being in a space of their choosing. This is about drawing attention to sound culture. Within this exhibition, we explore the idea of a ‘female’ aesthetic: might there be such a thing and, if so, what might it look like, what form might it take? Would it present as a heightened feminine; would it be a political statement; would it infer the domestic; might it include motherhood and specifically female bodily functions? And could a ‘female’ aesthetic be adopted as a playful and openly liberating force? Once machines were our slaves, but as technology becomes more sophisticated and subtle in its applications the power dynamic has shifted. Do mobile phones become extensions of our personality? Is our relationship with social media an unhealthy addiction and are machines trying to take over and make humans redundant? 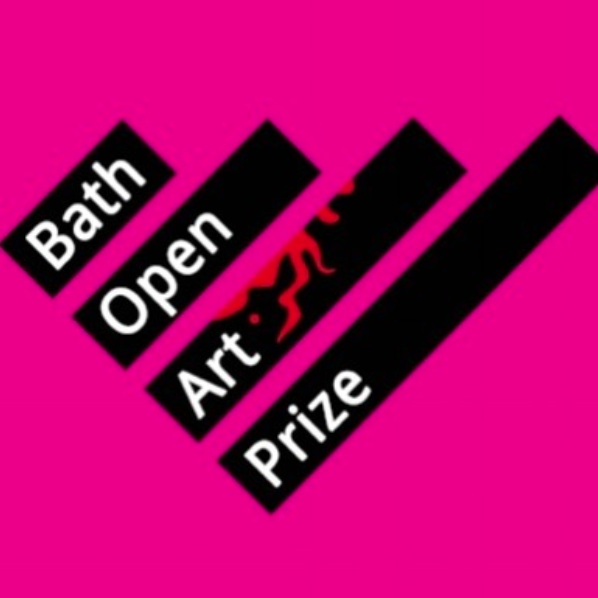 Artists working in all mediums are invited to enter the Bath Open Art prize, now in its 9th year. Selected works will be shown at 44ad during FaB 2019. Prizes include £250 cash, £100 cash, £50 art vouchers and a solo exhibition. £20 submission fee for 1 artwork, £30 submission fee for up to 3 artworks. Deadline Fri 26th April 2019. 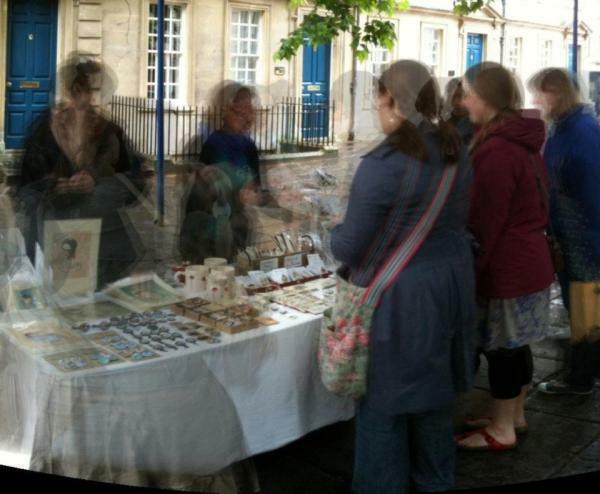 Calling contemporary artists, crafts-people and makers to exhibit and sell work at our outdoor market. Welcoming diverse, innovative, fresh artworks with a relaxed Sunday vibe and street performers. You have 20 themes to illustrate, in the right order, in 10 hours. Do you accept the challenge? Both film and digital entries are welcome, the results will be exhibited during the FaB Festival fortnight.